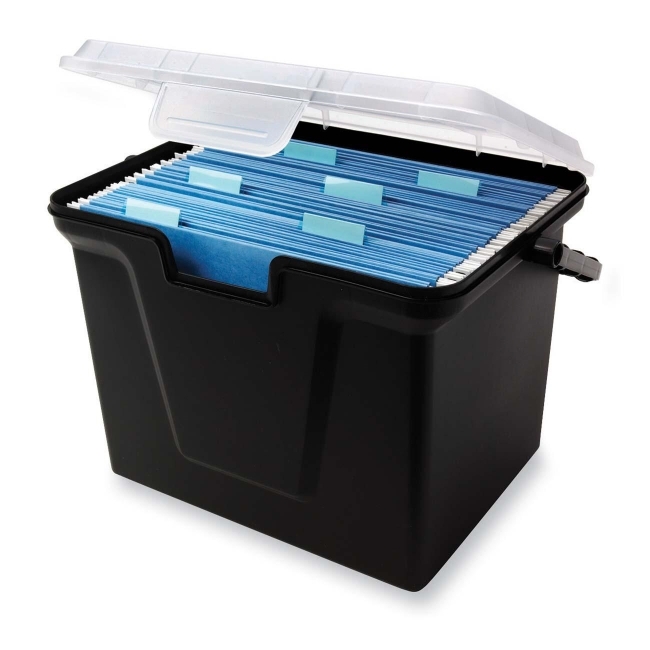 Stackable file box features a sturdy base and lid. Secure front latch and durable handle keep your letter size hanging files safe. Design includes a black base and clear lid. File folders are sold separately. File box contains 30 percent post-consumer recycled material.